There are two main Tonle Sap floating villages, one named Chong Khneas and the other one called Kampong Phluk. For a trip on Tonle Sap Lake, you should have a half of Siem Reap day tours there. The floating village of Chong Khneas is located approximately 10 kilometers south of Siem Reap. You will have a chance to enjoy an exciting boat trip on a traditional wooden boat. Along the way, opportunities for photos are endless. Also, you will encounter fishermen, children going back from floating “schools”, women picking wood on the lake, etc. For nature lovers and those who prefer a less crowded place, Kompong Phluk is an ideal place. To see this floating village, you will be taken into the heart of the mangrove forests on margins of the lake. 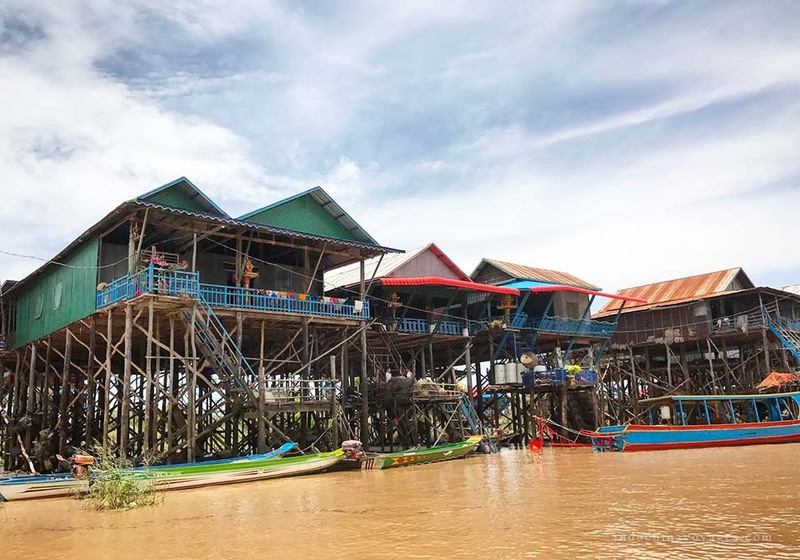 Kampong Phluk is a group of three villages where stilt houses are built within the floodplain of the Tonle Sap, situated around 16 kilometers southeast of Siem Reap. These villages are mostly Khmer people and there are around 3000 villagers. 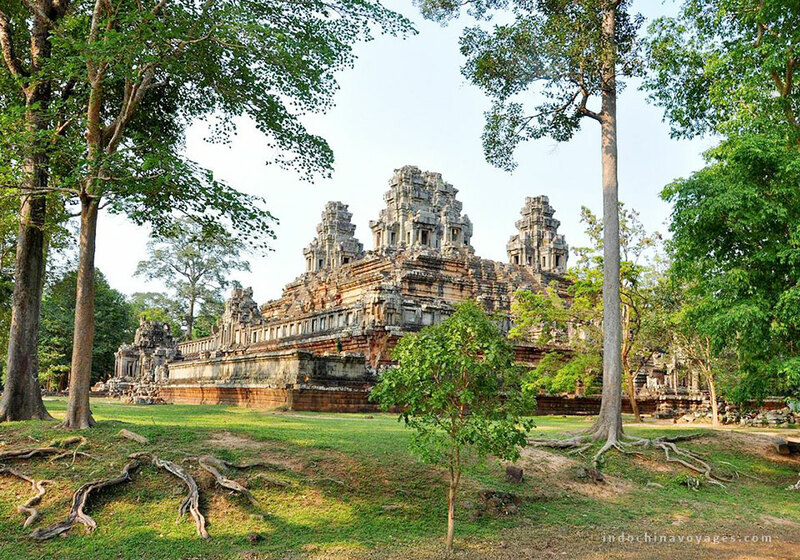 Siem Reap is hot all year round and Siem Reap temple tour with thousands of tourists may be tiring. 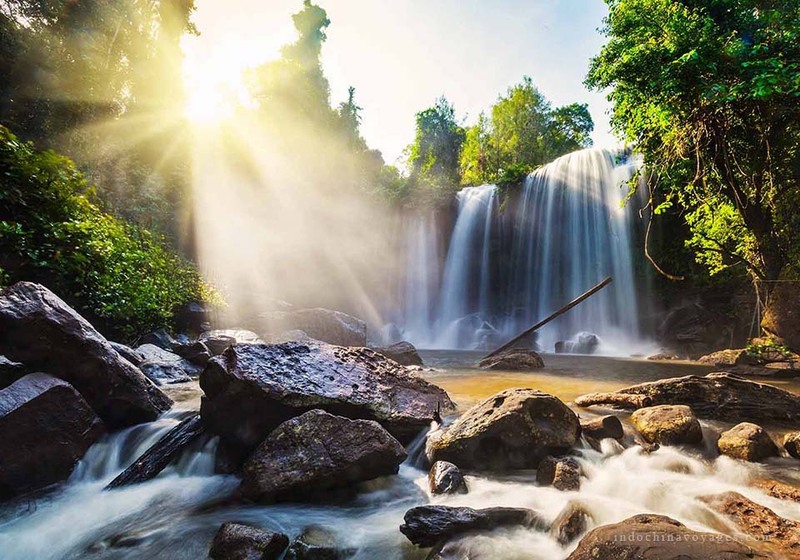 Why don’t you take a morning to drive to the countryside to Phnom Kulen Mountain? It takes around two hours drive from the central town of Siem Reap to this place. This activity fits active people as it contains climbing up to the waterfalls on the top. Therefore, swimwear and sunglasses will be needed for swimming and relaxing by the falls. Furthermore, a bonus point of this attraction is the fact that you will not find many tourists here, mostly local people going there for a picnic with friends or family. For local people, the place is opened for free, yet entrance fee for foreign travelers costs US$20 per adult and can be paid on the spot. Apsara dancers are sculpted on the walls of Angkor temples. There is no better way to see them in persons than having dinner with Apsara Dance Show. In order to have a nice view, a pre-reserved table is highly recommended. Crystal Angkor Restaurant is one place that arranges this kind of dinner. Hence, you can take a cab to address Roud 30, Krong Siem Reap. They serve both Khmer and Western dishes at around US$15 per adult, price updated in December 2018. A small note, please make sure that your cameras are fully charged as taking a photo with Apsara dancers is a lovely way to keep your memory long. For family vacations, this a is very fun activity to add on your schedule. The kids certainly love the show. This activity is voted as the top shows and outdoor attraction by thousands of users on Tripadvisor. There are different types of tickets and the main difference is the view. A or B tickets work very well for me, personally. 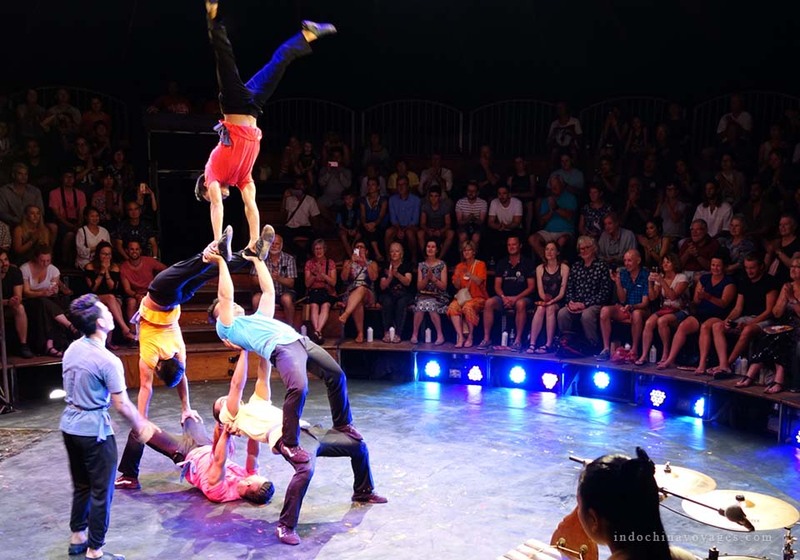 You can book tickets online via Phare circus website or get this arranged by your travel agent. This show is not only entertaining but also inspiring. By the way, a part of the profit goes to help poor teenage Cambodia to study to have a better future. Consequently, the show is performed outdoors and quite crowded. Hand fans will be provided upon your arrival but you should prepare for an hour living with high temperature. 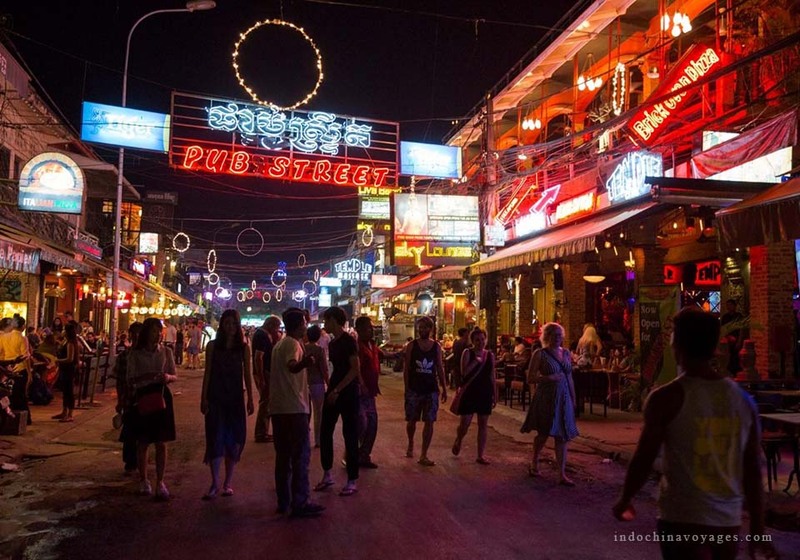 Pub street in Siem Reap is the only place in Siem Reap that opens until early morning. For major hotels in the central, a tuk-tuk at about US$1 – 2 will bring you to the most crowded place around Siem Reap. Also, there are nice music from local/western-style pubs, night market with Siem Reap street food such as fried insects or nice and cheap Khmer T-shirts, local beer, etc. In short, with 5 suggestions above, I trust that your Siem Reap tours will be full of experiences and joys. Let’s have a look at this Classic Glimpse Of Siem Reap 4 Days, temples are still the key but other activities will complete your time in Siem Reap Cambodia. Vietnam itinerary 2 weeks, 3 weeks or just 10 days, which one is sufficient? This is always a question when you are thinking of visiting Vietnam. Should it be a trip just Vietnam or a combined one with a few days extension to the famous Angkor Wat in Cambodia? How much does 2 weeks in Vietnam cost? When is the best time to go? etc. 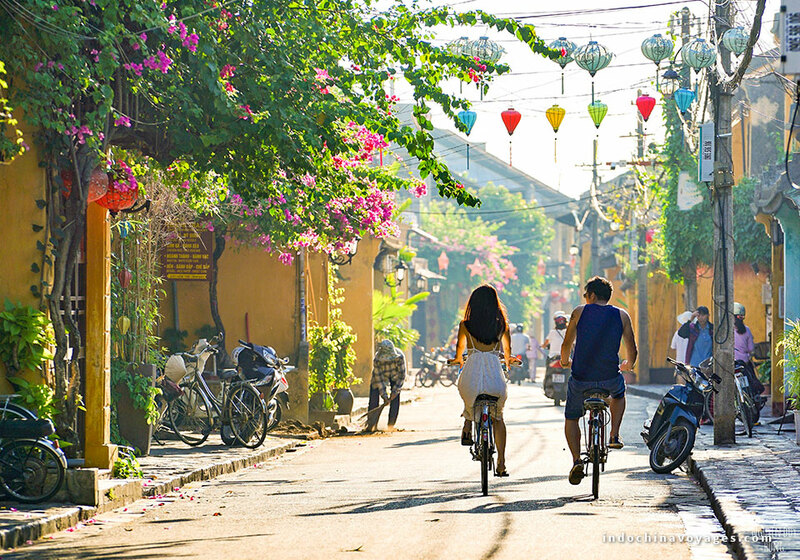 These concerns are quite understandable when you are a Vietnam first-timer and wishing to make the most out of it. With more than 3,000 kilometers of coastline, the country of Vietnam is stretched along the North to the South with two large deltas – Red River delta and Mekong delta by its ends. This geographic feature creates different climate zones and climate seasons. 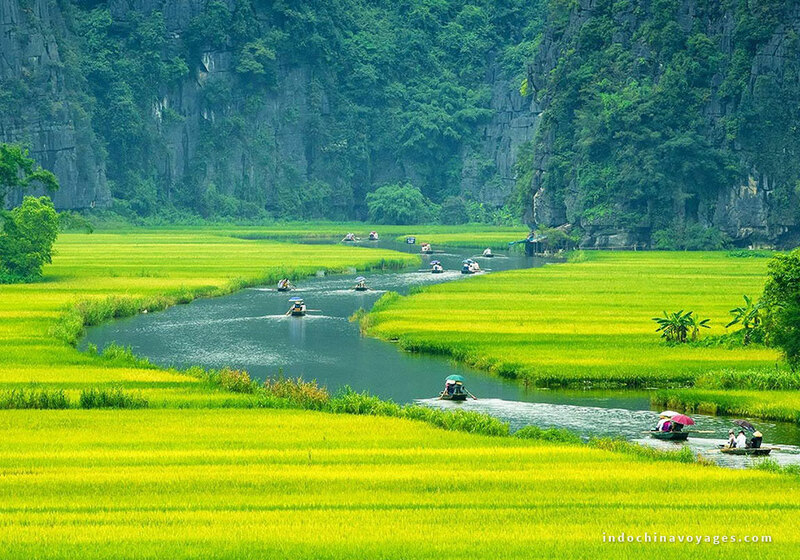 The North of Vietnam, which shares its North and Northwest border with China and Laos, have 4 distinctive seasons. While the South, which shares border with Cambodia and gulf of Thailand, inherits two separately wet and dry weather seasons. 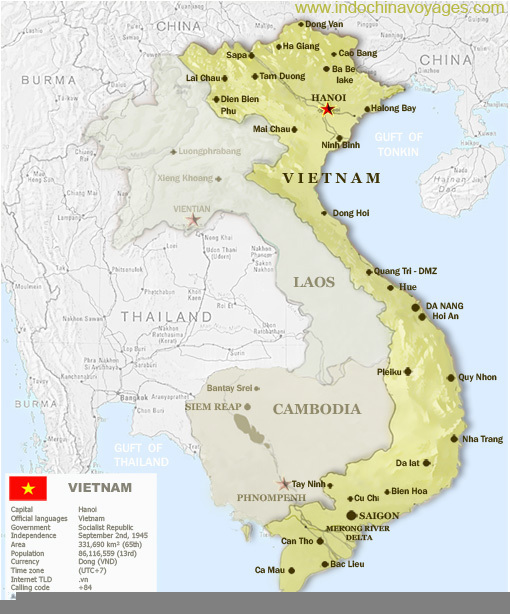 Apparently, the long and narrow country enables Vietnam to have a diversified ethnics and minority groups, mostly stretching along its border and in the mountain areas. 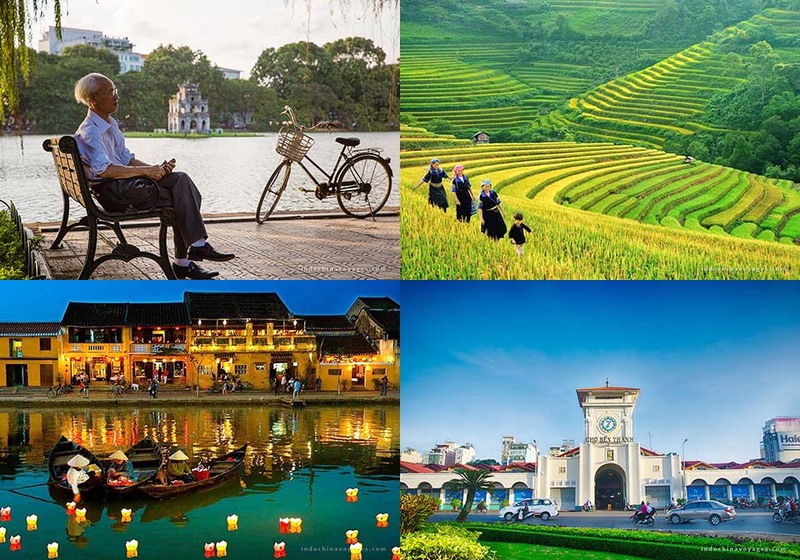 In the flat land, there are metropolises in the 3 main regions of the country from North, Central, South which are Hanoi, Hoi An and Ho Chi Minh city consecutively; where life exposing with its traditions, living habits and dynamically bustle daily activities. So if you want to capture every sights and corners of the country, it’s impossible to do in a Vietnam itinerary 2 weeks but at least Vietnam itinerary 3 weeks or more should be required. Anyhow, if your time frame is just about this given time, you should work on some destination search readings and feel what you want from that wish list, then prioritize them from the time frame. Planning an affordable one, matching your time and not to miss any nice sightseeing Vietnam has to offer, is in fact, not a big deal. Don’t forget to focus on the below key points, you will better plan a trip exactly for you without doing too much hassle works. If you are a type of traveler who counts experience of a country on the whole picture, let make it a bit of everything here and there. Let’s plan for some mountains, some downtown, see the main sights, go to some outdoor markets, take some home visits along the road, try some different eats both in local restaurant and from street sides. This route might work well with Hanoi (3 days) – Halong (2 days) – Sapa (2 days 3 nights by train) – Hue (2 days) – Hoi An (2 days) – Ho Chi Minh (2 days) – Mekong Delta (1 day). If you are likely a beach breaker and wish to see Vietnam in a slow pace, looking for some leisure days and doing not too much of the sights, see if this version might work: Hanoi (2 days) – Halong Bay (2 days) – Hoi An (4 days) – Saigon & Mekong (2 days) – Phu Quoc Island (3 days). 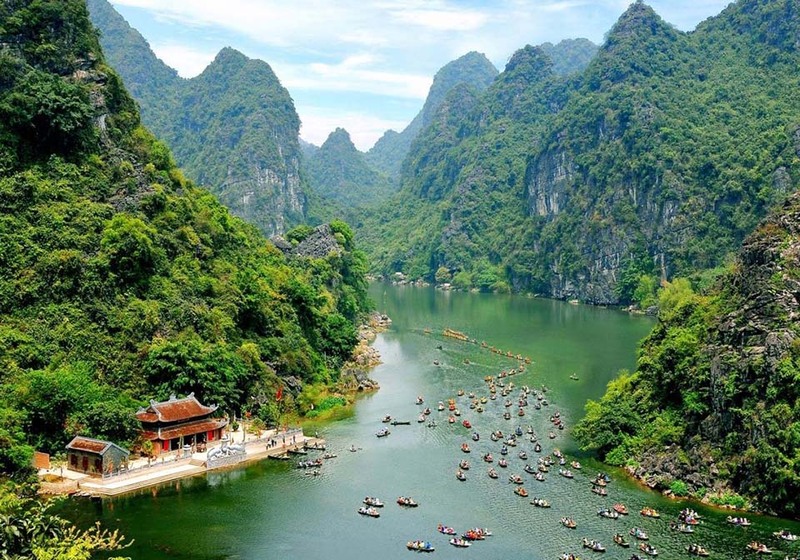 What if you are after history, people and in love with cultural identity of the destination, consider a different two-week travel itinerary in Vietnam which perfectly fit for you as Hanoi (2 days) – Ha Giang (4 days) – Ninh Binh and Halong Bay (3 days) – Hue (2 days) – Hoi An (3 days). What if I wish a bit more than just traveling to Vietnam in 2 weeks? Some people who tend not to see one destination at a time but several. This is when after taking a long flight from the other side of the global, people just don’t want to waste that flight time and see just one place. It’s often the case when a lot of people from North America and the Europeans plan to see Vietnam in two weeks, including a short extension to either Luang Prabang in Laos or Angkor Wat in Cambodia. It means that you are going to squeeze your Vietnam program a bit and to save time for the extension. Southern Vietnam itinerary is worth to be put off in this case. Now, see if this suggested itinerary will fit with the Ankor Wat lovers; Hanoi (2 days) – Ninh Binh & Halong Bay (3 days) – Hue (2 days) – Hoi An (3 days) – Siem Reap – Angkor Thom – Angkor Wat (4 days). 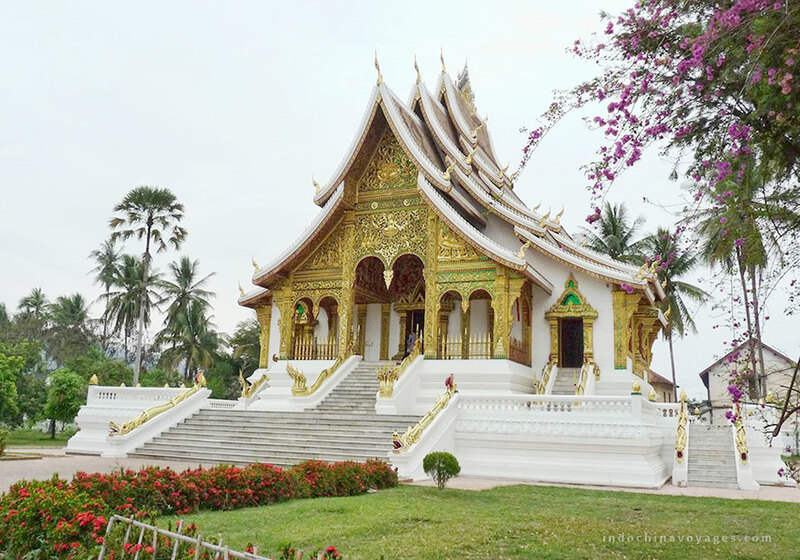 The same itinerary will also work if you like the Laos extension for the last 4 days out of the Vietnam itinerary 2 weeks. It is totally doable this way as Danang International Airport is now serving direct flights both to these two cities – Luang Prabang and Siem Reap. Remember, after doing some reading for destination guides that are available on Travel Fish or Vietnam Highlights, you can feel exactly what you want and may be you can even work out a perfect itinerary based on some suggested hints above. Though travel by plane from North to the Central or from the Central to South takes only an hour, it takes more time to travel for sightseeing around a region as the roads are not that good to the western standard and with a slower speed limit. Let count this when you build up your travel itinerary to make sure the pace suits you. Another way is you can contact a reputable travel company in Vietnam and ask for bunch of questions. There will always be a travel consultant to be in charge taking care of you, to answer all you need to know and it’s totally free. 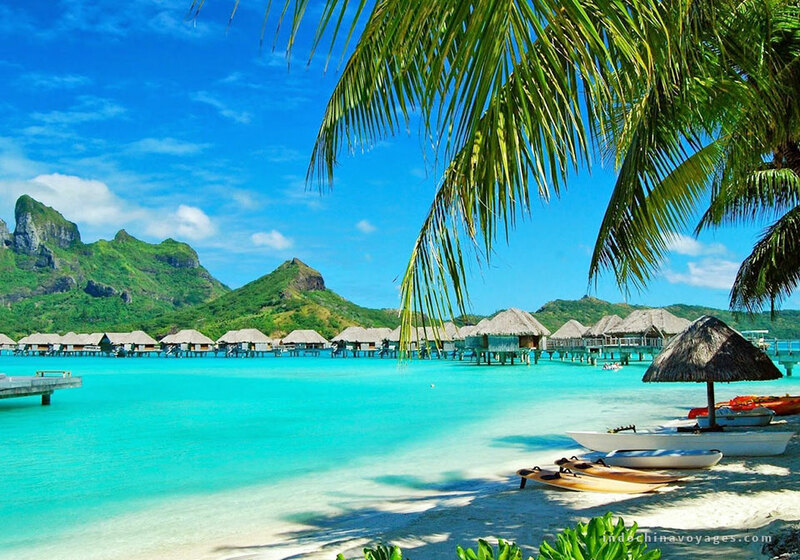 Like the wealth of its attractions in Vietnam that you can’t do all in 2 weeks trip, there will never be 100% perfect weather time to travel into this country. 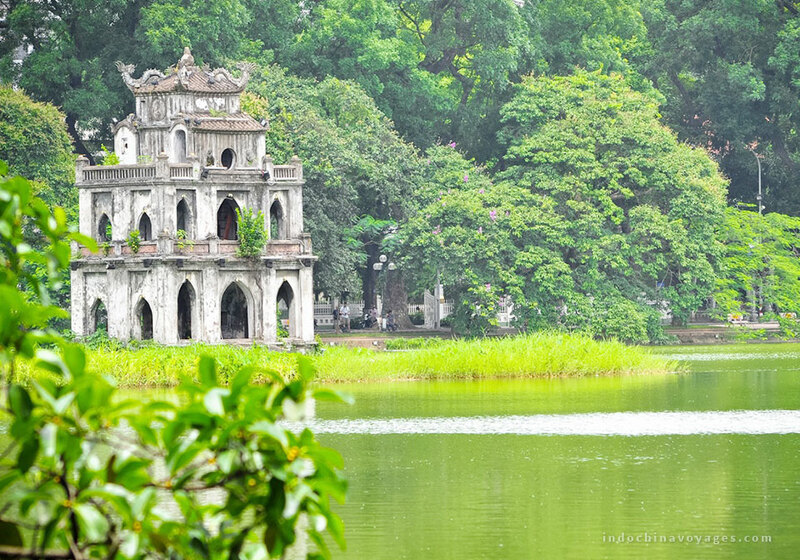 If you are very much keen on the sights of Hanoi, its nearby Red River delta and the northern mountains, the best time of year is from October to April, except a bit drizzle in early March. Though May and June are not too bad but the heat might be concerning as climate often get up to 36 – 38 degree Celsius. Hoi An should be cautioned with the first 3 weeks of November as annual flood season while Phu Quoc will offer compliment raining and thunderstorm most of October. Knowing these facts, you will better planning your itinerary and to benefit from doing the good homework during your travel time. Is Vietnam the cheap travel destination? No, it has never been cheap but cost of living and the daily life consuming is quite affordable and inexpensive. 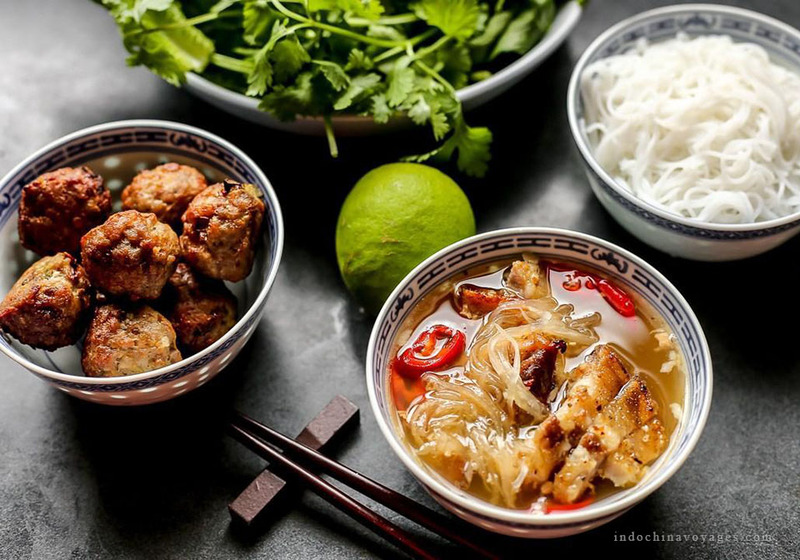 You can get a nice meal everywhere such as Vietnam street food from US$2 for instance a bowl of Pho, Bun Cha or a big loaf of Banh My. Anyhow, for services engaged in the inbound travel industry which requires business norms and standards internationally, it seems a bit higher than the local living cost. A decent Airbnb homestay or 3-star hotel in pretty central location might range from US$35 – US$55, depending on its service quality and location that is convenient to other necessities; and US$55 – US$100 to a deluxe level of accommodation, equal to 4* hotel ratings and > US$100 for luxury choices. This expense is counted as the major part in your tour price package. It’s suggested to mix the range and type of accommodation for the 2 weeks Vietnam trip, just make sure you are doing it where and when wisely. For example, if you have a busy day with sightseeing in Hanoi, it’s better to book with a small & boutique 3* hotel in Hanoi Old quarter. But if you are at the leisure part of the trip in Phu Quoc, it should be in a pretty nice resort where a private beach would be a big plus. 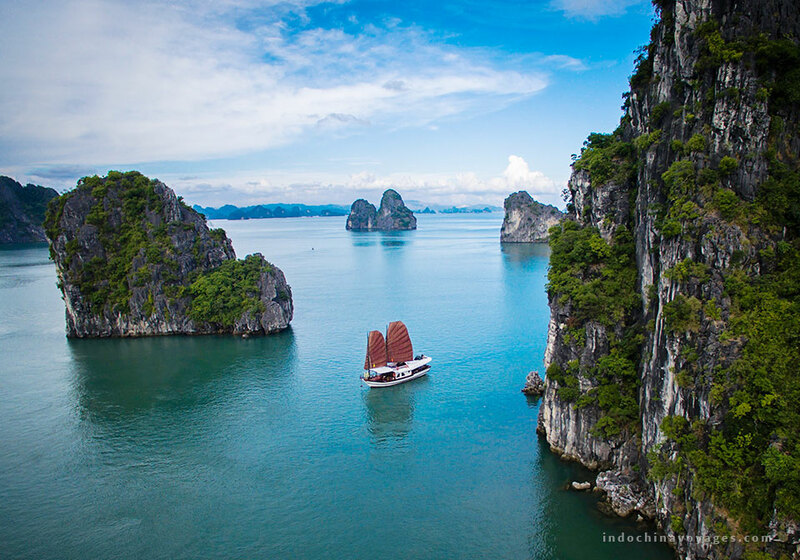 Same thing goes with Halong Bay, which is often a lifetime experience on board a cruise in the middle of Tonkin Gulf. It’s highly recommended to hook up with a nice boat, generally from 4* rating up. This will make your trip not in the same tone in term of accommodation and to enjoy the best where it comes to the best and save big when you don’t really need to spend. They are based on how you pick the tours to be privately served or group shared; where the cost involves with tour guide, vehicle used and some other built-in costs of a tour nature. Fondly, some of the day tours will be more interesting if you joined the group other than doing privately. Remember, you can always ask and have the travel consultant explained for you and to suggest you when you should make it a tailor tour join the group in your complete travel itinerary in 2 weeks. For years in the industry, I have found out that if you travel privately with some mixture of 3-star & 4-star accommodation in a Vietnam itinerary 2 weeks, the cost is roughly at US$ 125 – 130/person per day and 2 weeks is about most sufficient. If you like a bit of everything and while gaining some cultural interactions for traveling to this country, Vietnam Cultural Highlights 14 days is a perfect Vietnam travel itinerary in 2 weeks in such a case. 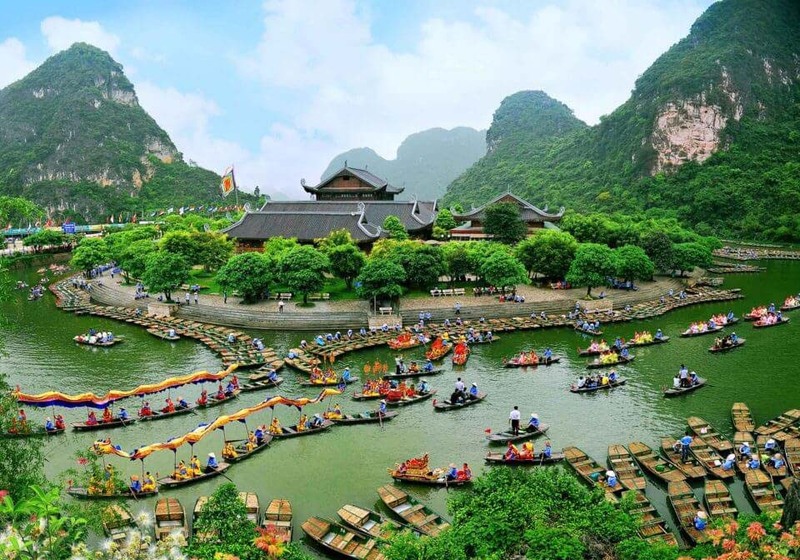 Let’s follow the above tips then check further from the booking guide and planning with our travel consultant for an irresistible Vietnam tours 2019 that you deserved. Had been working as a tour guide for few years, I have had chances to reach many places in Vietnam, especially the northern part of the country and love them all. The breathtaking mountainous landscape, friendly people make me feel warmly welcomed all the time. But among these beautiful places, Ha Giang – the final frontier is my most favorite destination. Ha Giang Vietnam, considered as an alternative to Sapa recently, has stolen my heart from the very first time. Even the very bad car sick couldn’t stop me from coming there many times later. 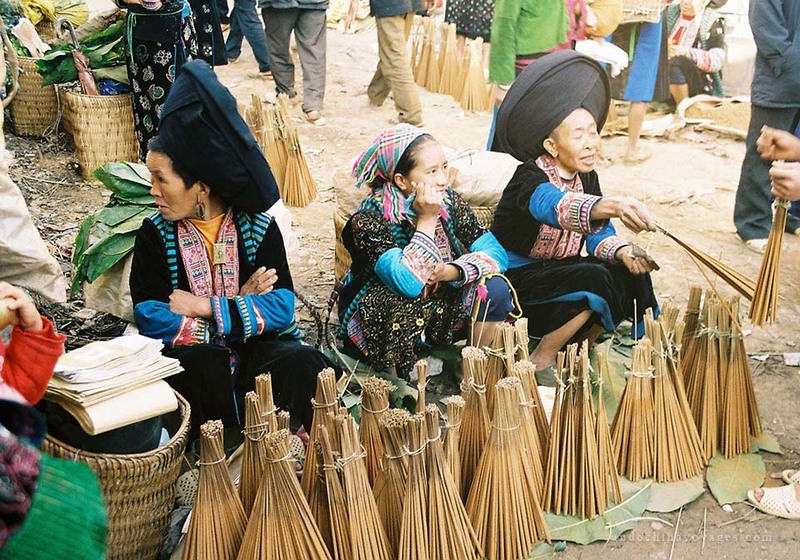 Ha Giang – home to many ethnic minorities including Hmong, Dao, Tay, Giay, etc. is a remote area, closer to neighboring country of China than it is to Hanoi. Since it is far away from city center and the transportation was not very good, tourism left it behind the development. Thus, everything remains untouched on this beautiful land. 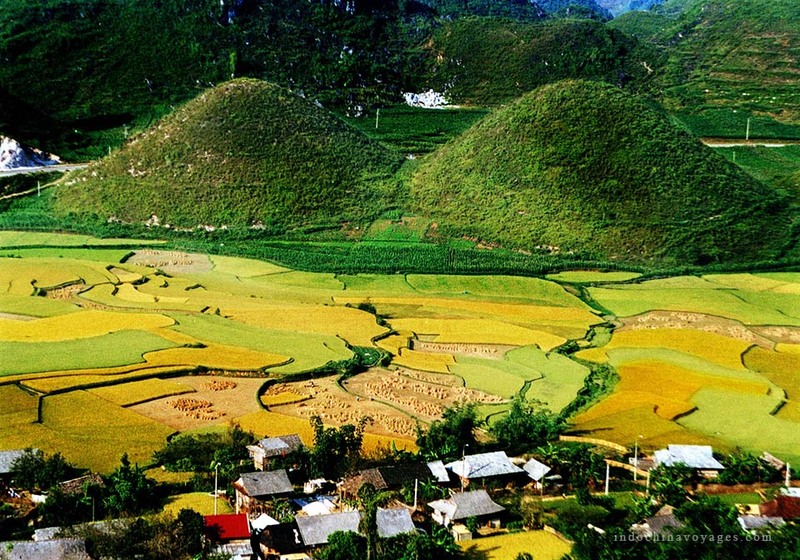 Recently, Ha Giang Vietnam is becoming a popular destination for many travelers. I myself do believe that Ha Giang never makes any of these disappointed. There are many beautiful places and things to see in Ha Giang Vietnam. Here are some my own experiences for the best experience in Ha Giang. 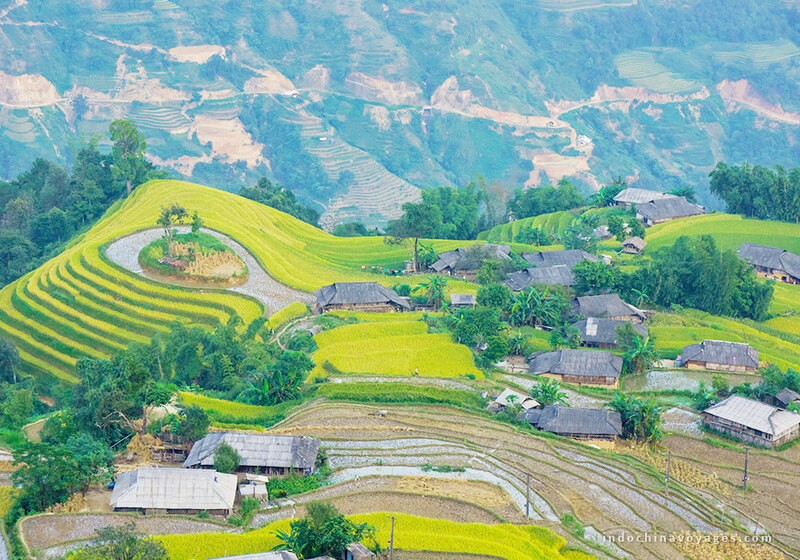 Thon Tha Village which is 6 km from Ha Giang city can be considered as the first stop in this North Vietnam tours. Those two villages offer opportunity for you to stay with Tay ethnic minority and enjoy beautiful and peaceful landscape. If you come here in April, you will have chance to join in one of the most famous festival “Lau then”; in which people offer things for the God of Heaven to pray for a safe and fruitful year. If the homestay is not one of your favors, there are hotels located in Ha Giang city, though, they are not luxurious one. Located 40km north of Ha Giang city, Heaven Gate of Quan Ba pass should be a stop in your list. At the top of the pass, about 1500 meters to sea level, you will have amazing view down to Tam Son valley with Impressive Twin Mountain, often called Fairy Breast by local people. 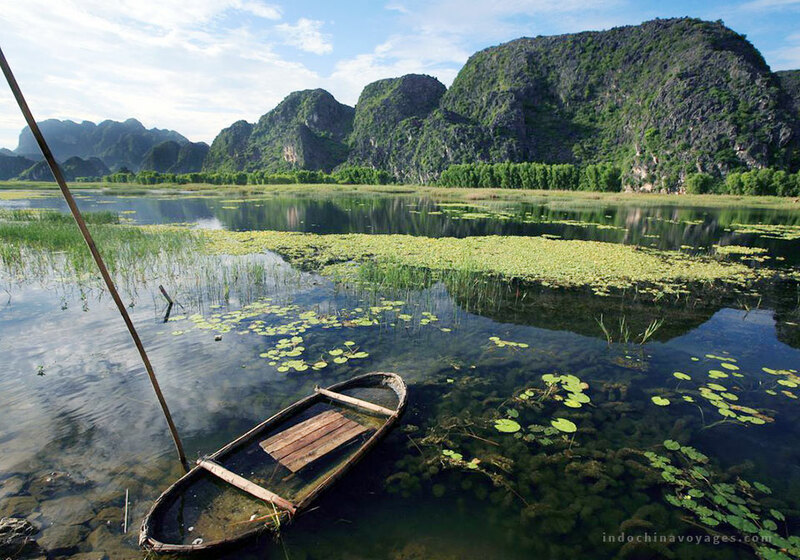 Quan Ba Pass is also the gate to Dong Van Karst Plateau – a UNESCO recognized Geopark in Vietnam. If you would like to experience more local life and stay at traditional homestay, there are some of Red Dzao people available in this area. For me, this is one of the exceptional experiences I have made since staying in straw-thatched house reminds me of my childhood. 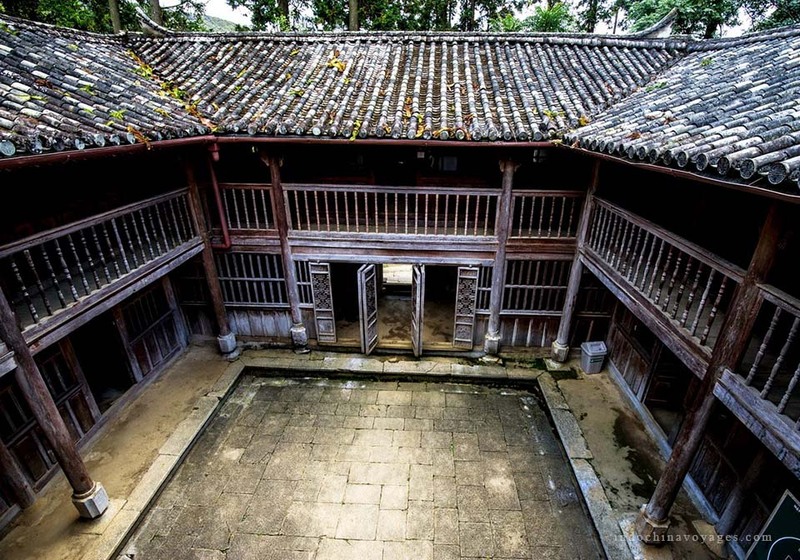 In the centre of Sa Phin Valley, a very unique and rare architecture stood by – the famous Vuong Palace, built in 1914 by Vuong Chinh Duc who was considered as Hmong King of the area. The palace includes 4 transversal houses and 6 lengthwise houses. All having two floors and a total of 64 rooms. Most visitors are impressed with its detailed decoration of animals which has different symbol meanings. During your visit, a lot of stories about the family will be revealed for your information. Ma Pi Leng Pass that connects Dong Van and Meo Vac can be considered as the most exciting part of Ha Giang Vietnam. The road offers such a grand view with deep valley and amazing scenery. This road is the place where most of motorbike travelers in Vietnam want to conquer. Still, please consider carefully before deciding to ride a motorbike even if you are a good motorbike rider. The better way is renting a car with a guide so that the guide can take you to walk on the trail used by local people. If you come here at weekend, don’t forget to visit Meo Vac or Dong Van Sunday Market, one of the region’s biggest and most colorful with participants from Hmong, Tay, Nung, Hoa ethnic minorities. 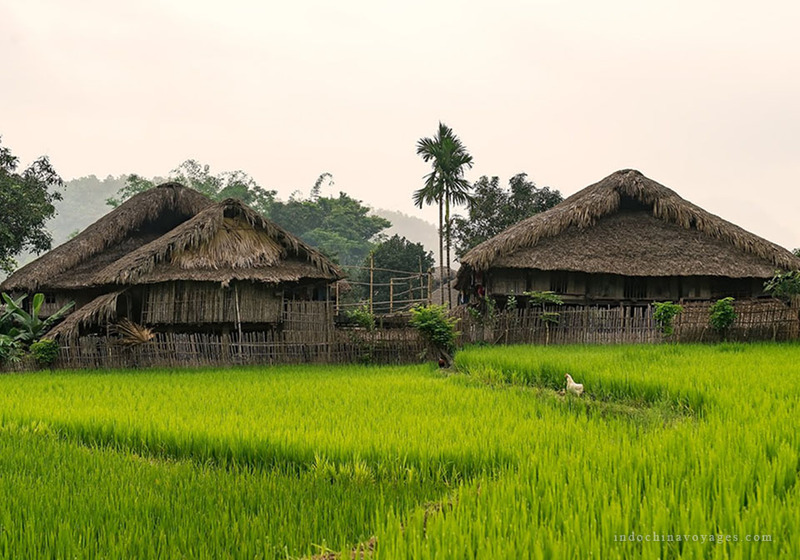 Located about 350km from Hanoi, it takes you about 8 hours to get to Phung Village, central of Hoang Su Phi. Maybe, the thinking of a very long drive will discourage from coming there. However, the grandiose landscape of rice terraces of Hoang Su Phi will never disappoint you upon coming here. The best time to come here is Autumn, from September to October when all the rice terrace change into yellow color. There are several villages where you can get homestay service, but for me the best experience is at Phung village – home of La Chi People. Waking up in a traditional house, looking over the window, welcoming sunrise, seeing could flying on top of the house is the wonderful experience everyone could wish once in their life. 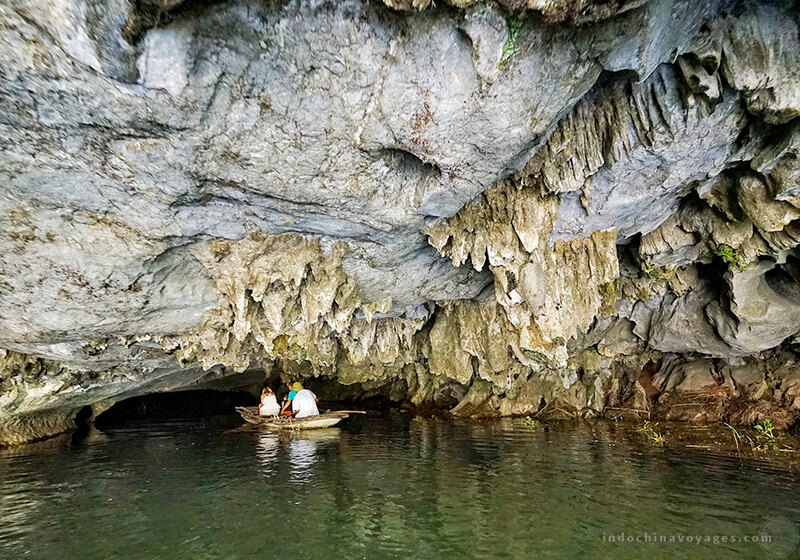 There are actually several ways to get to Hoang Su Phi. If you start from Hanoi, you should spend one night in Ha Giang city or Phuong Do commune and do some trekking before getting there. Most of travelers combine Bac Ha Lao Cai with Hoang Su Phi and then go to the other destination such as Quan Ba, Dong Van, Meo Vac. I think it is the best way to discover Ha Giang. Since the weather in Ha Giang is clearly classified into 4 seasons as spring, summer, autumn and winter, it offers different form of landscape. It is a colorful picture in spring from January to March as it fulfills with a lot of different flowers such as peach blossom, apricot, plum, etc. Also, spring is the season of New Year and festival, ethnic minorities get dressed with their most beautiful custom; they sing, drink and dance with their traditional folk song. Summer is the time local people prepare for their planting rice. All rice terraces covered with water creates a spectacular view look like slow-moving waterfall in May. The fields are fully green and fluorescent green during June, July, August, which makes everyone feel refresh and peaceful. For me, the time I like most about Ha Giang is September and October when the color of rice changing into golden yellow creates a gorgeous picture. You can simply go to My Dinh local bus station to catch a bus to get to Ha Giang. The duration is about 6-8 hours and the price from 10USD to 15USD/one way. The earliest one leaves at 7am and the latest one leaves at 21pm. However, it is not really a smooth way to get a seat at local bus station. Your bus are expected to stop many times on the way to drop or recruit more people. Luckily, there are couple of bus picking up tourists from Old Quarter recently that makes it much more convenient to get Ha Giang with price ranging from 15USD to 20USD. Once you arrive to Ha Giang, let’s think about renting a motorbike to conquer the most dangerous but beautiful road of Vietnam. However, I highly recommend the best way to get to Ha Giang is to arrange a car with Vietnam tour companies in Hanoi. 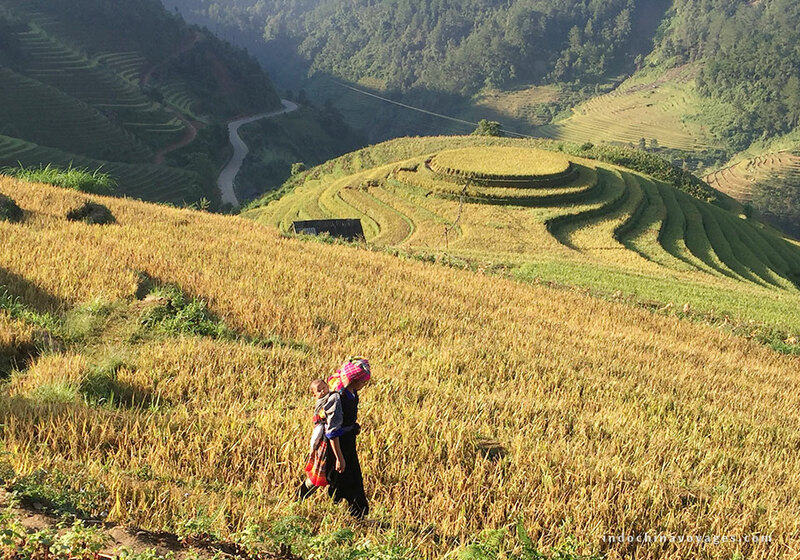 You will have great chances to Explore unfold Ha Giang 5 days with many of cultural richness, diversity of minority people as well as stunning landscapes of Ha Giang Vietnam.